Bedford also has musical tiles in the town centre! We weren’t quite brave around to stick around and work out how to play a tune on them, but thought that they were a brilliant idea! 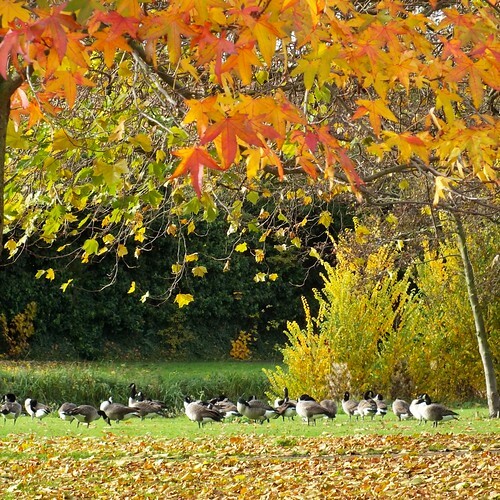 The autumn colours were wonderful and there seemed to be geese absolutely everywhere! 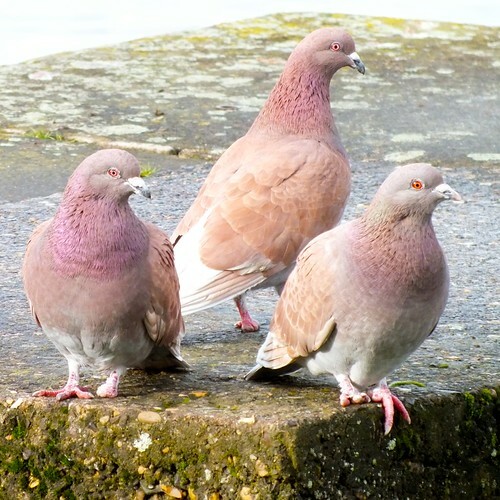 Some very suspicious pigeons eyeing us up in the park. I think they just wanted to attack us for some bread! I enjoyed my time in Bedford and met some wonderful people. It’s good to be back, but I’d love to visit again at some point! < Life just got busy!